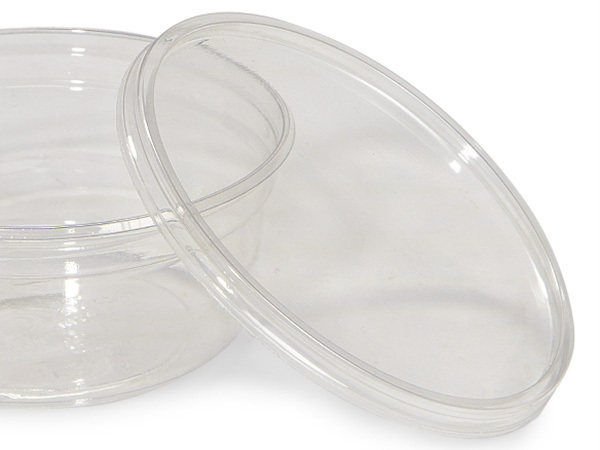 Small Round Clear Plastic Lid fits all 4-1/2" dia. containers: RS08, RS12 & RS16. Small shrink bands sold separately. Complies with FDA regulations for food packaging. Made in the USA.